Latest Technology Reviews | Mobile | Laptop | SEO Tools: Will Xbox 720, PS4 And Wii-U Be The Last Gaming Systems? 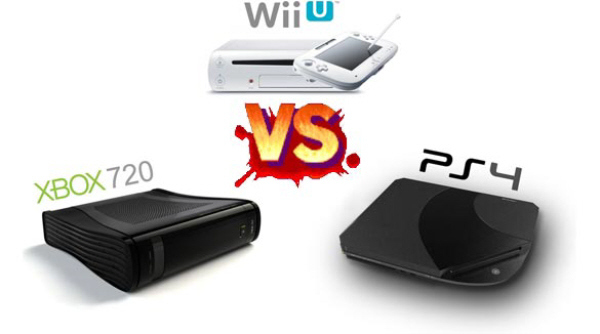 Will Xbox 720, PS4 And Wii-U Be The Last Gaming Systems? 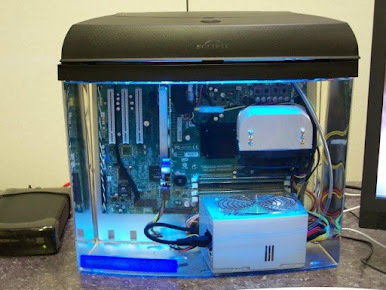 The gaming industry may be focused on the future of gaming consoles, but PCs may be the platform to watch. A recent report from New Scientist says that modern PC graphics cards are 24 times more powerful than those found in Xbox 360 consoles. Games on high-end PCs have already outpaced consoles, Nvidia engineer Simon Green, said to New Scientist. This became particularly evident when Epic Games, the creators behind the Unreal graphics engine found in many modern games, showcased the newest version of the software on a high-end PC. Known as the Unreal Engine 4, the upgraded version was unveiled at E3 2012. The elemental demo gave viewers a taste of what to expect from the new graphics engine, which displays incredible detail to outdoor environments in gaming. One of the most notable features is the depiction of light, according to IGN, resulting in a world that is perfectly lit to enhance the gaming experience. Even the next-generation of consoles is unlikely to match that, writes New Scientists' Jacob Aron. Although the GTX 680 graphics card is more than capable of running the Unreal Engine 4, its successor the GTX 690 is said to be twice as powerful. But in addition to superior visuals, Green says that as cloud technology becomes even more prominent the practicality of consoles may diminish. Graphics on cloud-enabled TVs can consistently improve as servers upgrade their hardware. No console would be required-just a speedy Internet connection. One day, the whole idea of owning a separate piece of hardware to play games on might be completely redundant, Green said. This is why console creators are continuing to bring new and innovative ideas to the industry. As E3 2012 has proven, simply existing as a game console is not enough anymore. Nintendo, Sony and Microsoft all unveiled different ways in which their next-generation devices will function as multi-media entertainment systems, stressing the importance of cross-compatibility and mobile features. For Microsoft its SmartGlass, for Sony it's the Blu-Ray compatibility and the cross-platform Vita features, and for Nintendo it's the all new GamePad controller. But developers agree that the days of console gaming could be numbered. Look, consoles are going away, creator of God of War and Twisted Metal David Jaffe said to GI International. I think in 10 years-probably sooner, but 10 years is always the safe thing to say so you don't sound like an idiot-but here's what I'll say. I'll go on the record and say that the next generation of hardware will be the last consoles. And they should be. As Green acknowledged earlier, Jaffe says that gaming hardware will just take a different form-most likely TVs that are able to stream games via the Cloud or another source. It doesn't mean you won't buy a piece of hardware from Sony, but you'll probably buy a television that streams the stuff, he said to GI. Games that players have grown to know and love will still be produced by these major companies, but it will be approached in a different way, Jaffe said. And you'll still have Sony, loud and proud and strong making these great, big, epic games like 'God of War' and 'Uncharted,' and they'll be making great little games like 'Sound Shapes,' but they'll become more like movie studios for video games, he said to GI. The game developer also predicted that the sales of next-generation of gaming consoles will not match those of the present, saying that they will earn 40 percent of what the current generation hardware has raked in. However, no matter the medium, games will always exist. The asteroid has hit the Earth, the dust cloud is covering the sun and the dinosaurs are on the way out-but not the games! Jaffe said. We'll always have great games and bleeding edge graphics...it's just going to be a new delivery mechanism.